By Charles Heasman | October 11, 2013. St Catherine’s Church on Meath Street is set to open its doors again soon, nearly two years after the disastrous fire which destroyed much of its interior in January 2011. Restoration and repair work is now nearly complete and architectural firm Howley Hayes are provisionally due to hand back the keys of the church on November 10th. It is anticipated that a further two weeks will be needed to decorate and furnish the interior ready for use by the congregation. Parish Priest Niall Coghlan praised architects James Howley and Connor Cooney, who specifically worked on the project, saying “they have been fantastic; they have been like a rock”. As an example he cited how, on lifting flagstones as part of the repair work, it was discovered that water pipes underneath were in an advanced state of corrosion and clearly needed replacing. This was obviously nothing to do with fire damage and therefore exempt from the insurance. It was also decided that the smoke-damaged pulpit, although salvageable under the terms of the insurance, would not be in keeping with the new interior and should therefore be replaced. Howley Hayes, in consultation with the Commission for Art and Architecture and Dublin City Council, designed the replacement. This was another expense. 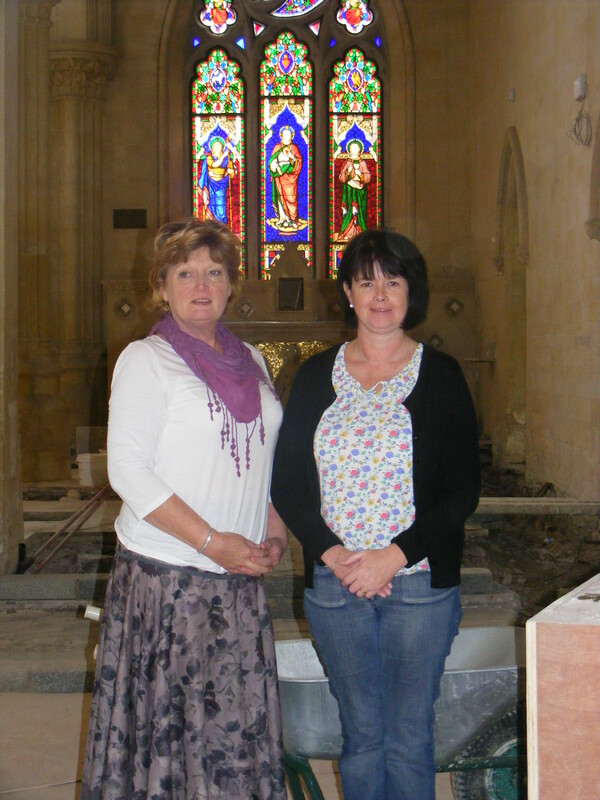 Although it is hoped that the church will re-open in November, it will not be complete until June 2014. This is when the stained-glass window over the High Altar will be returned. At present the window is glazed with plain glass. With a total cost of €4.1 million the fire in St Catherine’s was, according to Gardaí, the biggest case of arson in the State.